A new Group Advisory Board including Esben Poulsson, John Wiik, Francesco Maria Greco and Pierluca Impronta / Ivo Impronta in turn, has been established in March 2016 to support Marco Risso and Mauro Iguera, respectively Chairman and CEO of Cambiaso Risso Group with regard to strategic decisions, including further growth opportunities through merges and acquisitions. 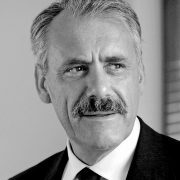 About Marco Risso: he works from 1968 to 1974 as employee at Società Italiana di Assicurazioni Trasporti (SIAT), later at Unione Italiana di Riassicurazione, and then in London at Matthew Wrightson and Lloyds Syndicates for about 2 years. Back to Italy, he opens the family activity of marine agent to insurance broker one. He is Chairman of Cambiaso Risso Holding, Cambiaso Risso Marine and Cambiaso Risso Shipping Agency. His role combines the broking activity with the one of entrepreneur, based on the philosophy of a sound productive asset joint to a traditional family company, oriented to a steady development both in Italy and abroad. 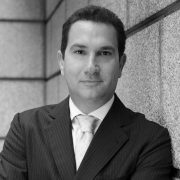 About Mauro Iguera: He started his cooperation with Cambiaso Risso in the 80ies, after completing his education through stages in the US and London in every branch of the insurance: major brokers, Lloyd’s Underwriters and P&I Clubs. His partnership in CAMBIASO RISSO is strengthened by his multiple role of CEO of Cambiaso Risso Holding, Cambiaso Risso Marine SpA and Cambiaso Risso Shipping Agency, where he combines an in-depth knowledge of the marine industry with the comprehensive understanding of the clients needs. He is very fond of growing family controlled operations with strong international connections in the marine environment. The entrepreneurial philosophy is to enhance large service company by paying attention to human resources, searching innovation and anticipating any market evolutions without ignoring social commitments towards all stakeholders. 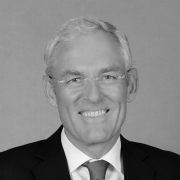 About Esben Poulsson: non-Executive Chairman of Cambiaso Risso Asia Pte. Ltd., recently appointed President of SSA (Singapore Shipping Association). Active in the maritime industry for over 40 years, with extensive Executive and Non-Executive experience. He is currently Chairman of Enesel Pte. Ltd. and a Board member of a number of Singapore based companies. 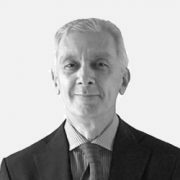 About John Wiik: he has been working in the insurance business since 1975 and came to work as Deputy Managing Director for the Bergen Hull Club in 1979. From 1984, he functioned as managing Director for the Bergen Hull Club (wich in 2011 merged with the Unitas Club and formed a later leading marine insurer Norwegian Hull Club). John Wiik retired from his position as CEO of the Norwegian Hull Club on January 1, 2016. John has a Bachelor degree in Business Administration from the Norwegian School of Management in Oslo, and he has a Master degree in Business Administration from University of Winsconsin in Madison, USA. He has received multiple shipping and industry awards, and has been a member of various boards in maritime, banking and consulting companies. 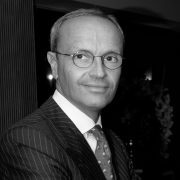 About Francesco Maria Greco: Executive Vice President of Cambiaso Risso Marine SpA. Devoted his life to the diplomatic carrier, playing different prestigious roles within the Ministry of Foreign Affairs (Director General for Culture) and abroad (Jugoslavia, Belgium, Spain); he was Chargé d’affaires in Bangkok, Deputy Permanent Representative at NATO and Ambassador in Jakarta and Dili (2002-2007); he has recently left the assignment of Ambassador of Italy at the Holy See (2010-2015). Columnist for Corriere della Sera; member of the Development Committee of Banca Prossima. 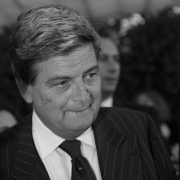 About Pierluca Impronta: Chairman and Chief Executive Officer of MAG-JLT SpA, a partnership between Marine & Aviation and JLT; began his career working for the family business in Naples. He became a marine broker and underwriter at Anslow-Wilson & Amery and Generali in London and had the same role in Italy. In 1989 he became Executive Chairman of Marine & Aviation. In 1993 he was appointed Managing Director of Marine Aviation & General London and in 2002 he became the Vice Chairman. He is also Chairman of CRMAG , the joint-venture between MAG-JLT and Cambiaso Risso Marine. 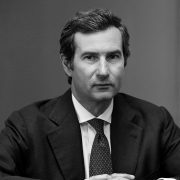 About Ivo Impronta: Chief Executive Officer Mag London; started his career with Marine & Aviation in Naples and moved to London in 1993 as a placing broker for Morgan Read & Coleman. In 1994 he played a key role in establishing Marine Aviation & General in London. In 2006 he was appointed Managing Director after working as a senior placing broker. Ivo is a Director of Marine & Aviation, MAG- JLT SpA and of CRMAG.